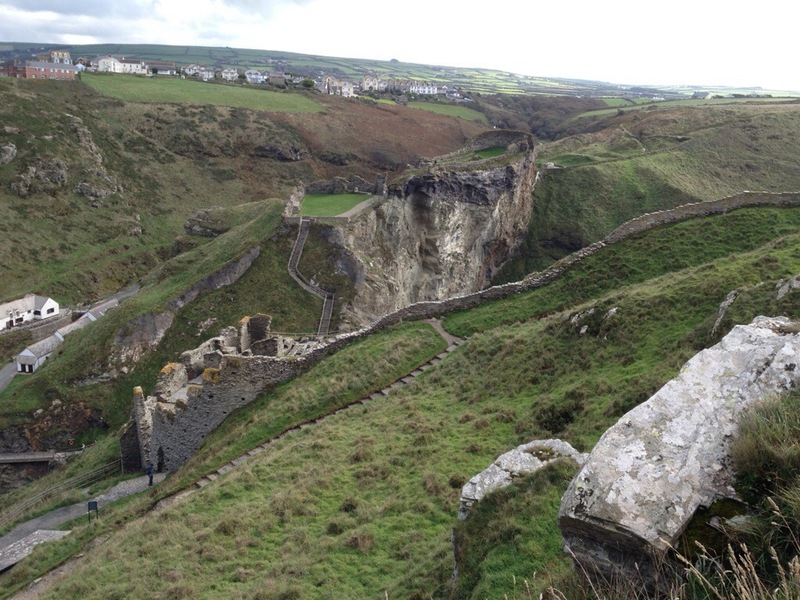 Next stop on our Cornish adventure was Tintagel castle – possibly the birthplace of King Arthur, definitely a really cool place to visit. Its vast sprawl atop a rocky promontory, surrounded by stunning views of the wild and rugged coast, way surpassed my expectations. 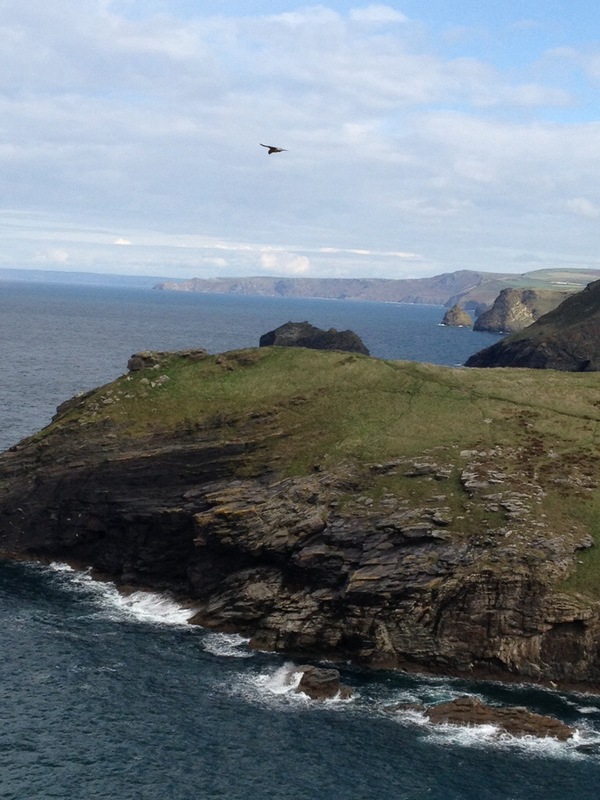 One approaches Tintagel down a valley, then around a headland to cross a narrow bridge onto the promontory (which is connected by a causeway). 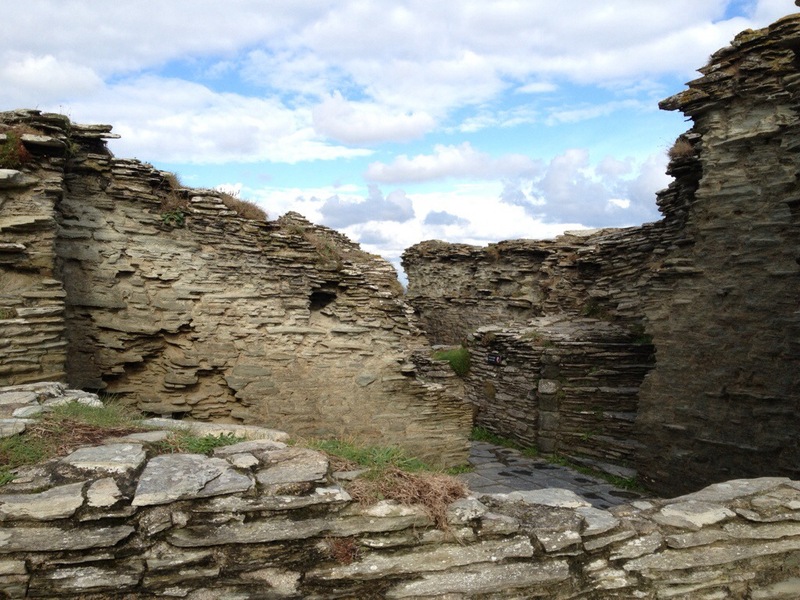 One then climbs up to the remains of the Great Hall and associated buildings, which cling to the edge of the cliff. The ruined stonework is still very impressive and I easily could imagine the Earl holding court here. The above was taken from some ruins on the opposite side of the bridge to the main promontory. I think the garrison was once stationed there. 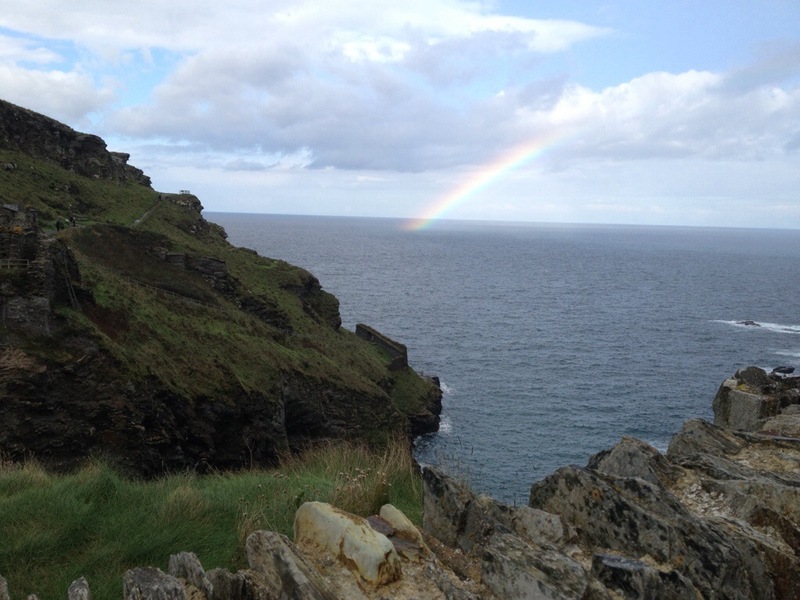 We spent a fair few hours at Tintagel, and lunched afterwards at a local pub. On our way home we visited the little town of Port Isaac, which was closing down for the day, but was still lovely to wander through. 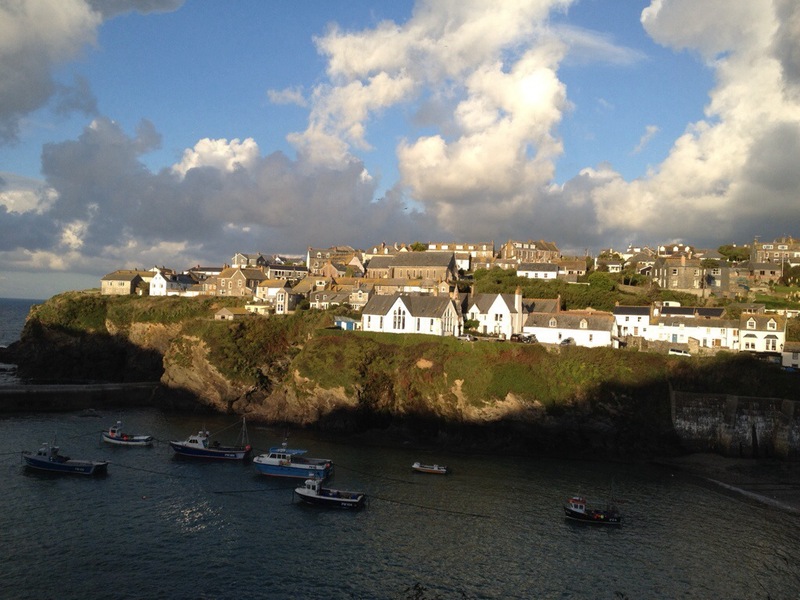 Cornwall has certainly proved something of a challenge from an internet connectivity point of view… and we haven’t had wifi in our cottage this week. But I am hoping to post more frequently over the next couple of weeks as I find accommodation with wifi, especially since I have a few days backed up now! The next posts will cover the Penwith Peninsula and our wonderful day on Dartmoor in Devon. 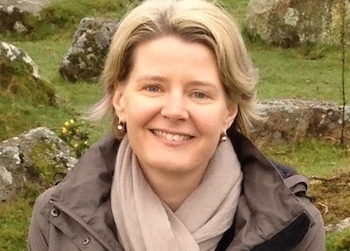 Wow, great pictures, Ellen–especially the rainbow one. Those things can be pretty elusive. Yeah, I was pretty happy with that one. Not bad for an iPhone camera! I take a lot of photos to imprint places in my mind, so I can retrieve the memories later… But yes, it was very inspiring!